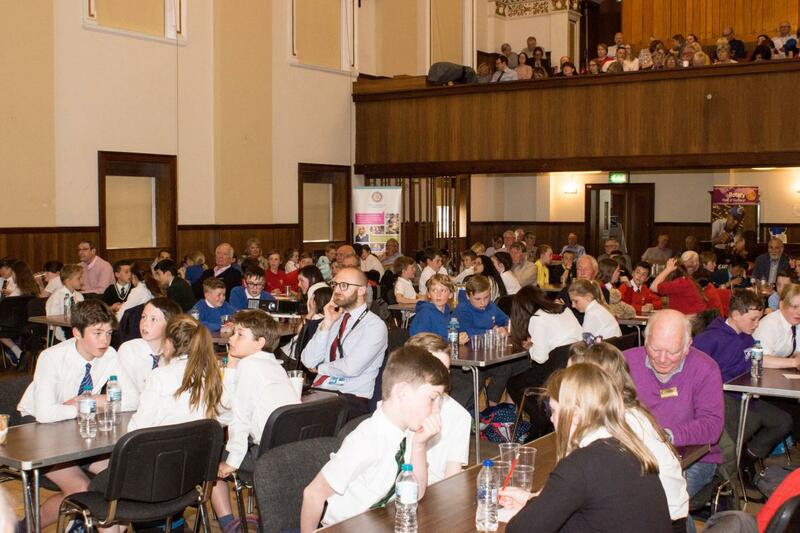 Pollokshaws Burgh Hall was packed for the final of the District Primary School Quiz. 22 teams, teachers and parents filled the Hall. 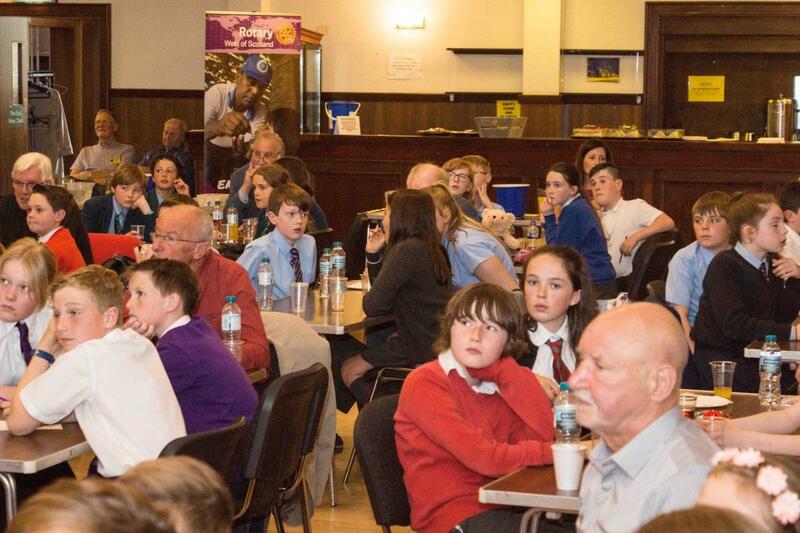 Rotarians from many clubs were on hand to make sure that the quiz ran smoothly. 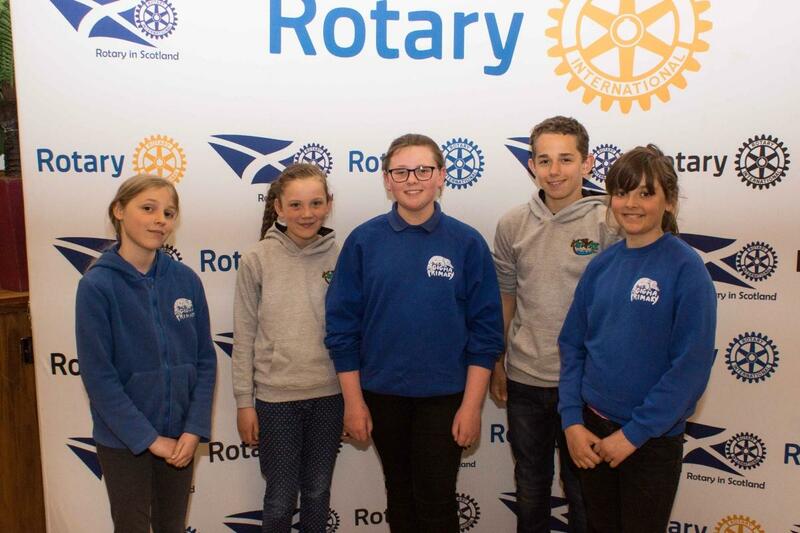 Schools qualified having won local heats, with the furthest travelled teams coming from Stranraer, Gigha and Rhunahaorine (Tayinloan). 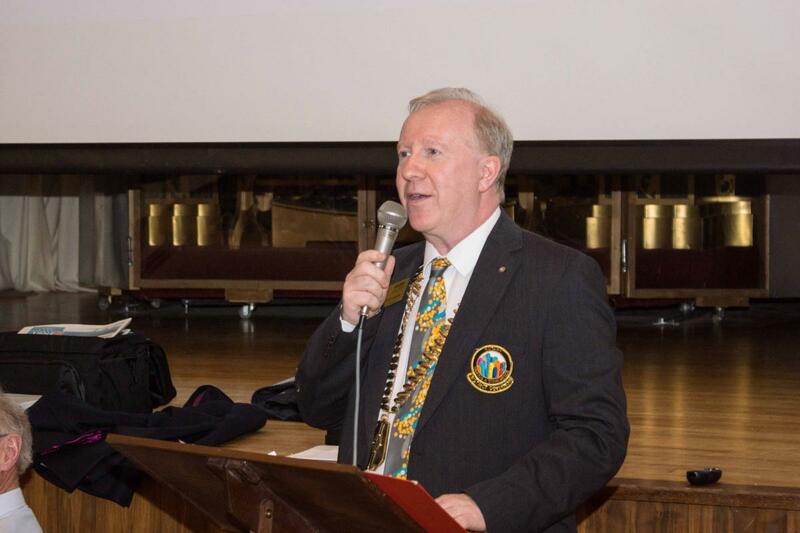 Question master David Johnstone led the schools through 6 rounds of 10 questions per round. (Geography, Science, History, Sport and two rounds of general knowledge) The parents and teachers, upstairs on the balcony were also busy writing down answers and discussing possibilities! The competition was very close with a handful of points separating the top 10 teams, but of course there had to be a winner. 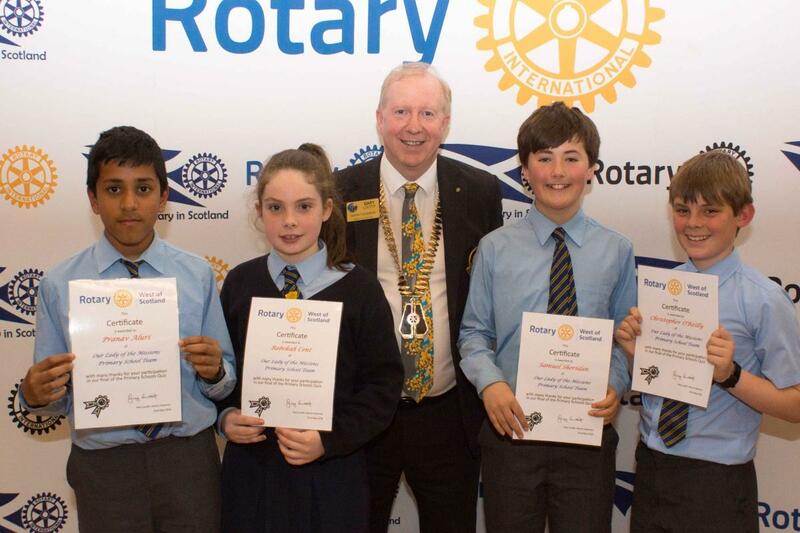 In third place, Our Lady of the Mission, (Thornliebank), second Hutchisons’ and the winning team was from Milngavie Primary. Two points separated the top three schools. 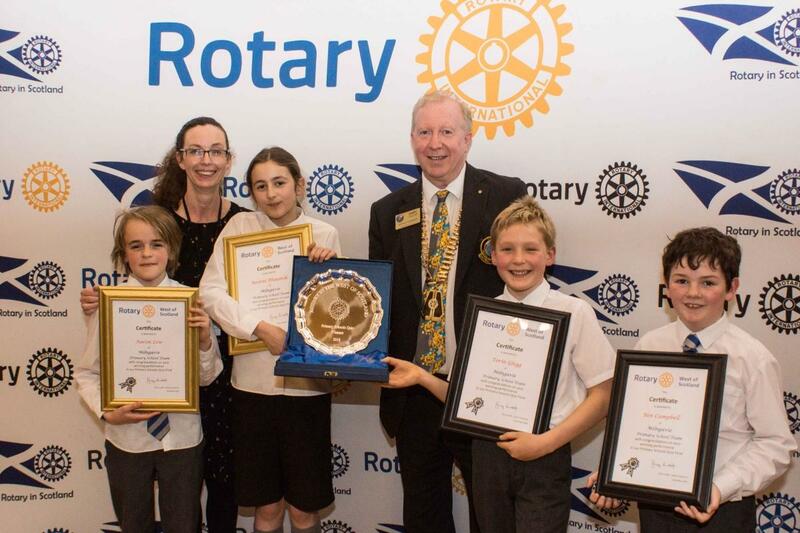 The trophy and certificate was presented by Gary Louttit, District Governor. 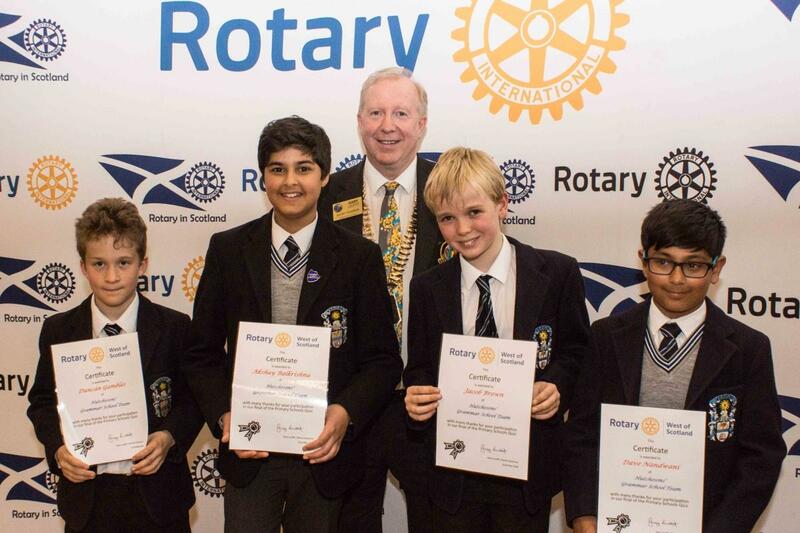 Overall events such as this show Rotary at its absolute best. Clubs working together with young pupils showing enthusiasm and joy. 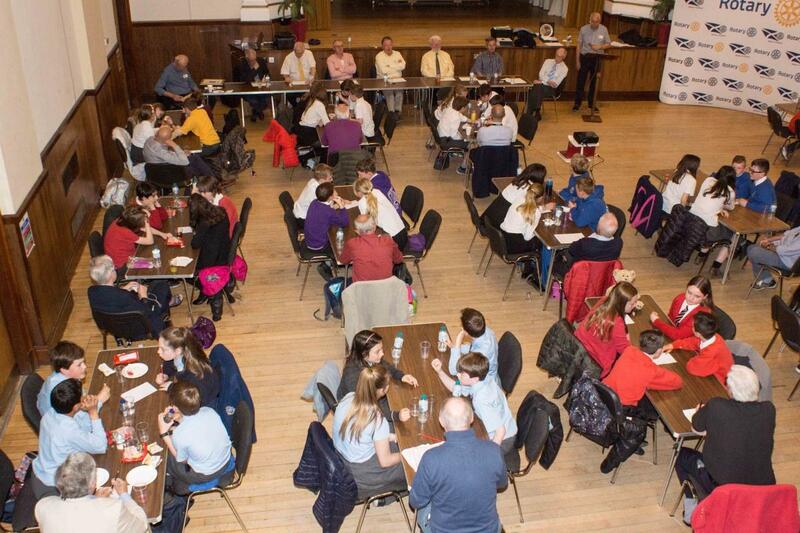 Well done to the organising groups, the refreshments team, the question checkers and Kilmarnock Rotary Club for their overall management.